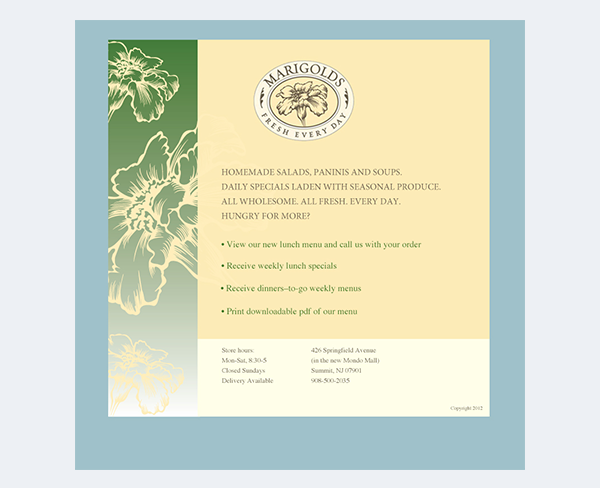 Marigolds was originally a catering business started in the Summit home of the owner. When the client moved her business to a storefront location, she needed a logo to reflect her sensibilities and to promote her business. We designed the logo for this lovely restaurant which specializes in homemade dishes and tasty takeout. The name of the restaurant is a play on the owner’s name, Mary. The tag-line reflects the new menu specials every day. 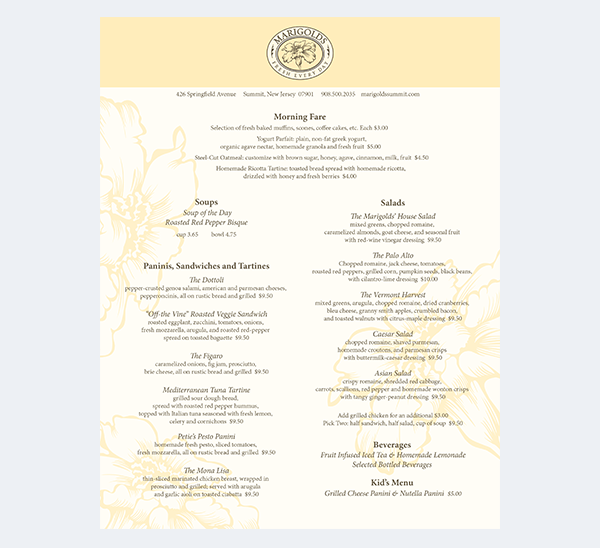 We developed a simple landing page with clickable links allowing the visitor to see an easy-to-read menu and to sign up for lunch and dinner emails. 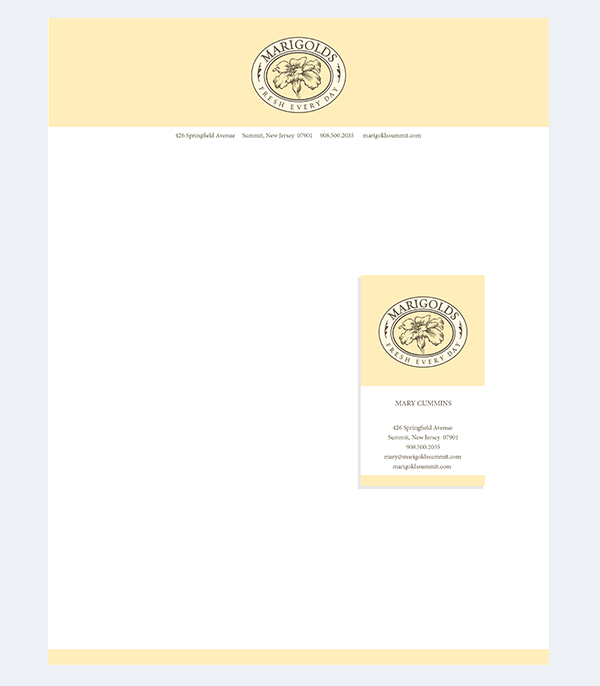 The logo was also used on stationery and business cards.